Course 2nd Dan Black Belt! 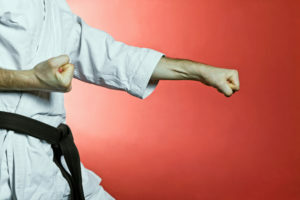 The Kyusho Jitsu Home Study Course 2nd Dan Black Belt is one many of you have been waiting for a long time! But it is now finally here! Picking up where the Novice Kyusho Jitsu Home Study Course left off, this one will take you to the grading for 2nd Dan Black Belt! Now this is also a certification course, so it includes the grading fees for your testing. Testing is optional, but included! Doing this course live in Dojo with me would cost you about $1200 with the test fee! But doing this via our Kyusho Jitsu University Advanced Kyusho Home Study won’t cost you that much! This all inclusive package is ONLY $797!